Launched in 1995 in Newport, Rhode Island, the X Games is an extreme sports competition encompassing skateboarding and motocross and, since 1997, winter sports including snowboarding, skiing and snowmobiling. 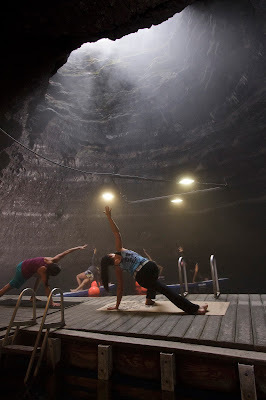 It acts as an incubator for the latest, hip sports both for summer and winter. Targeting Generations X and Y, the annual X Games competitions are put on by American sports broadcaster ESPN and also shown on ABC Sports. Since 2002, the winter event has been held at Aspen’s Buttermilk ski hill. The Summer X Games moved from Los Angeles to Austin, Texas in 2014. Executive Director for AFP, Eric Zerrenner, was originally looking for a couple of interns from Sierra Nevada College to do the work that Gauthier now does. 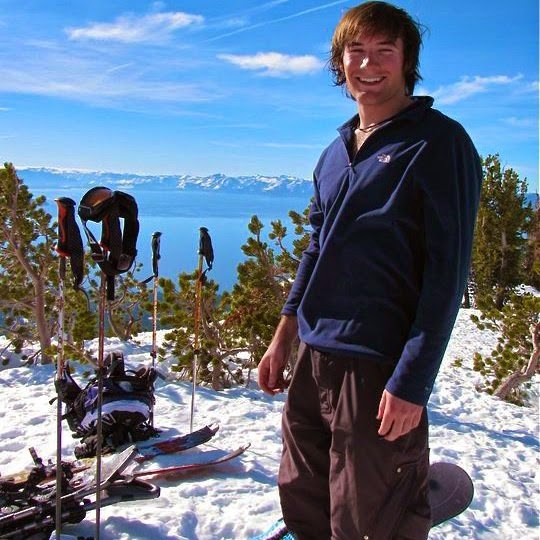 At the time Gauthier was evaluating different marketing coordinator roles, going through interviews at various resorts such as Sugar Bowl, Kirkwood, Squaw Valley, and Northstar while finishing his MBA. When he saw the request for interns for AFP he came up with a novel idea. “The job description was extensive, but I thought two or three internships could potentially add up to one job,” Gauthier explains. After some negotiations, Gauthier’s new role was created. Marketing and sales are his chief areas, with a wide involvement in sponsorships and partnerships, social media strategy, event promotion, athlete membership drives, and also basic video editing for exclusive AFP content. The AFP World Tour is another of his responsibilities. “I accept and review all event sanctioning applications, update athlete rankings with new event results and manage the AFP judging program,” he explains. This includes procurement, education and scheduling for all AFP Certified Judges. Along side Jeff Schmuck (Managing Editor of @SBCSkier Mag), he also manages all event media and content on afpworldtour.com and is responsible for athlete communications. Gauthier creates and distributes all formal AFP documentation, manages the inventory logistics including banners, signage, cameras, equipment etc. And he distributes and analyzes post-season surveys to both athletes and event organizers. Ironically, he also gets to manage new interns from Sierra Nevada College. The position comes with other perks, too, particularly living the winter sports lifestyle. 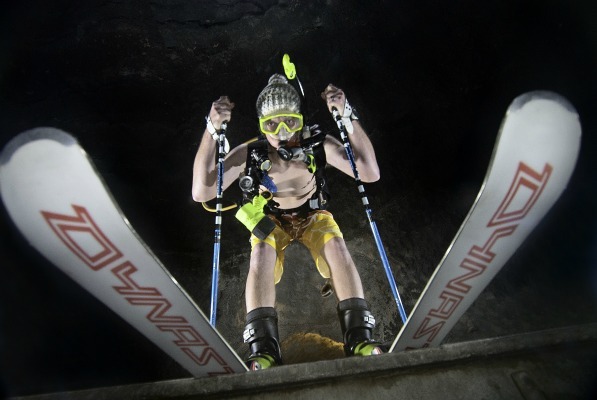 “I did not grow up a skier, racer, or competitor. It was the environment, community and the people that attracted me to the winter industry. My love for skiing and snowboarding came later,” Gauthier says. Having started skiing myself at the ripe old age of 12, I was determined to get my kids dashing downhill as early as possible. The oldest didn’t really take to it until five but the youngest was desperate to start by three. 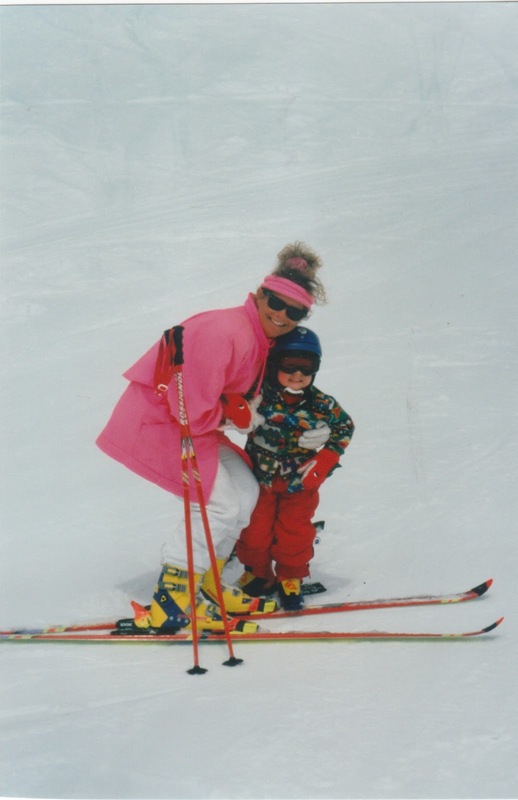 They are both now accomplished skiers, having gone through the Nancy Greene League racing program at Mt Norquay, followed by Lake Louise’s all-mountain teenage courses. 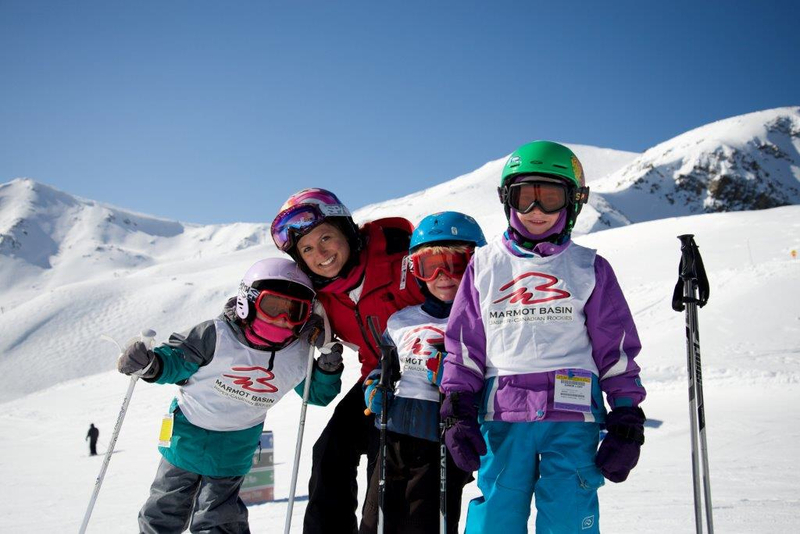 Colin Borrow, Snow Sports Director, Marmot Basin – and father of four - says all children are different. “Three to four years on average is a good age to start skiing. 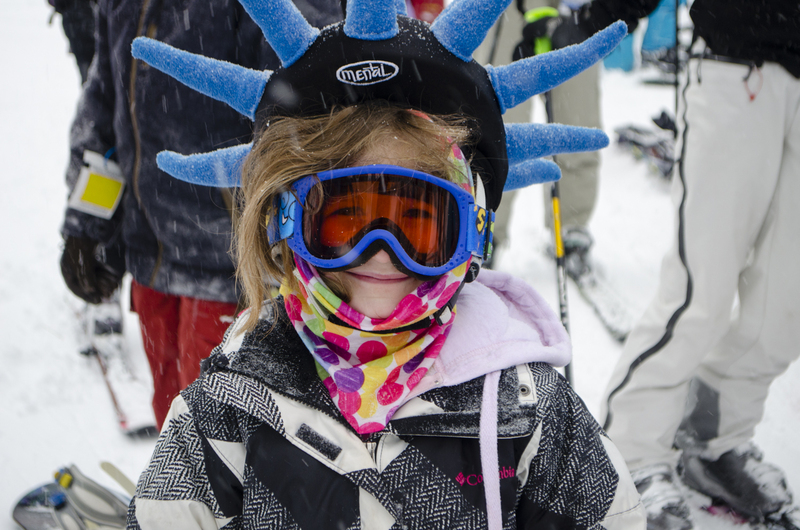 Like skiing, snowboarding depends on the child but in general six years would be a good time to start. 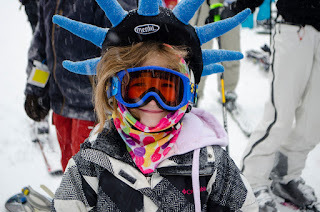 Snowboarding requires a little more balance and strength when getting started.” Borrow says on-mountain daycare is vital for when children get tired, cold or hungry. Limiting outdoor time is crucial, too. “With a three to five-year-old, one to two hours is as much as the average child can take - with the exception of my second, a skiing machine, who cried when the lifts stopped,” says Borrow. For kids who really feel the cold, the spring is a great time to start them off. 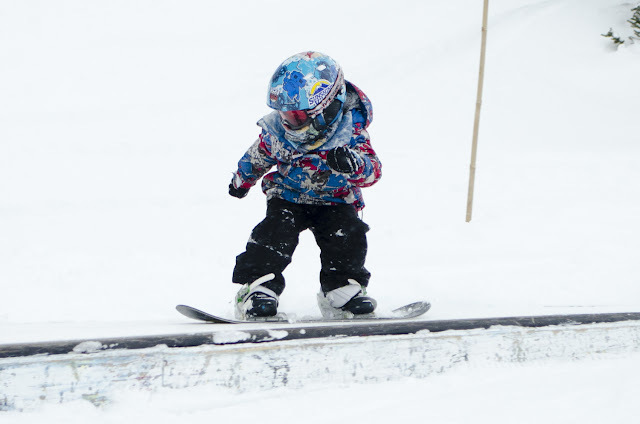 Although parent-led instruction can work well, nothing beats the professional tactics of the Canadian Ski Instructors Alliance and Canadian Association of SnowboardInstructors. “We train instructors to not only teach children through demonstration, explanation, and activities/games but also in a team environment. Children can encourage and support each other, they will believe it’s possible if their peers can do it,” Borrow explains. Typical games include ‘red light, green light’ for braking practice and skiing with hands on knees to prevent sitting back. 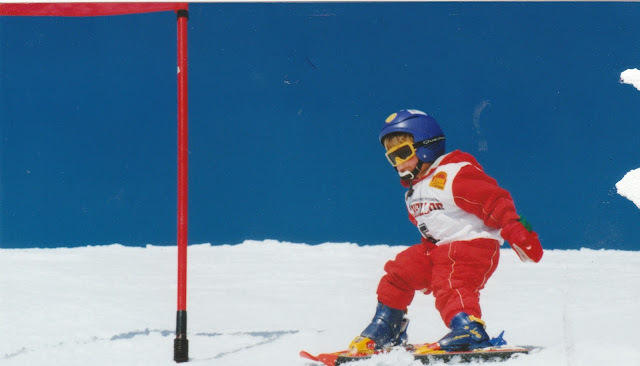 For those anxious to give two-year-olds the wintersport bug, Lake Louise’s SnowSchool Director, Kevin Eaton has sound advice: “The term ‘skiing’ is loose at this age. Plastic skis on regular snow boots could be their first experience.” Father of two sons himself, Eaton says parents need to keep expectations low and stay positive. “Attention spans are short, mixing up activities and changing the focus will help keep smiles on their faces,” he adds. Lake Louise has made it easier for kids to start early with its investment in Riglet Parks for youth snowboarding. “Riglet parks are super small terrain features that help facilitate learning quickly and increase the fun factor. Special leashes attach to the boards so you can pull riders standing up and they get the feeling of riding quicker,” Eaton explains. He recommends multi-week courses to learn the intricacies of the sport. Free passes are another inducement to start young. “Lots of ski areas offer free passes to children under 5 or 6 years old,” says Stewart Laver, Director of Snow Sport for Sunshine Village Ski & Snowboard Resort. Because of the more onerous balance issues with snowboarding, Sunshine instructors usually start kids on skis first. “It’s a statistical fact that if you learn to ski or snowboard before the age of ten, you’ll likely achieve an advanced skill level in your lifetime and will ski or snowboard at least off and on throughout your life,” says Laver, who explains that adult learners will probably only achieve an intermediate level. His own children started very young, especially his first daughter at around two. “It was usually more about being out with her parents, and getting a treat in the daylodge than it was about becoming a great skier.” He recommends the sport as a fun family activity where the kids can emulate the adults. Before they even hit the slopes, children can have fun at home putting on the boots and walking around them, getting used to the feeling ready for the snow. 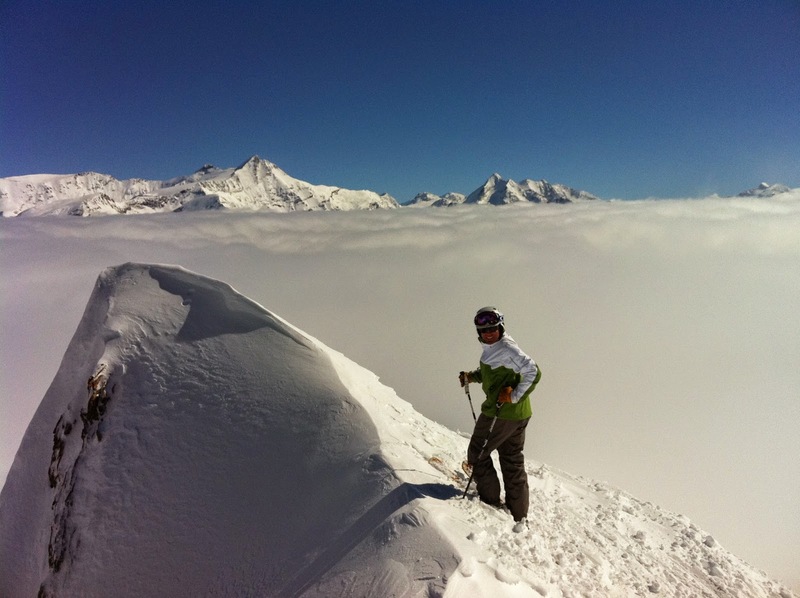 Diversification is the key for ski resort hotels, according to Winter Sport Tourism co-author, Dr Simon Hudson. In an article for HotelExecutive.com, he explained how hotels in ski resorts are having to offer their guests more than just skiing and snowboarding these days in order to keep them satisfied. Over the last decade or so, mountain resorts have made significant capital investments in developing alternative activities to downhill skiing and snowboarding. 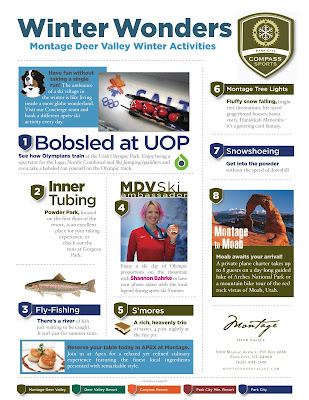 These activities range from the high-energy (like ice-skating, fat biking or snow-tubing) to the more passive (such as moonlit snowshoeing or hot air ballooning). Three factors are driving this diversification of winter sports. Firstly, an analysis of market trends suggests that an increasing percentage of those who take winter sport holidays on a regular basis do not ski at all. Secondly, even avid skiers are typically skiing less. On average, they are somewhat older and new high-speed lifts enable a skier to attain his/her physical stamina quotient much more quickly. Lastly, climate change is having a negative impact on snowfall for many resorts, especially those at a low altitude. In fact, the National Resources Defense Council argues that without any intervention, winter temperatures are projected to rise an additional four to 10 degrees Fahrenheit by the end of the century, with subsequent decreases in snowfall amounts and shorter ski seasons. Given the predicted and increasingly serious effects of climate change after the 2050s, downhill skiing and snowboarding may become niche products in the second half of this century. Michael Gregory, General Manager at Washington School House, suggests that it is a general trend in the industry overall that the amount of people that are getting involved in skiing is declining: “So we want to be ahead of the curve and see that we provide options for the non-skiers.” Gregory says that most of the companies providing these alternative activities will reach out to him. “We do have packages where we do incorporate activities but in general we just want to let guests know of all the possibilities aside from skiing. A lot of the staff around the hotel are also very active, too, doing many of the activities that we are advertising, and that helps.” Gregory says that snowshoeing, in particular, has been really popular, as well as traditional mountain hiking. “Stand-up paddle-boarding in the Homestead Crater is very popular and also many families take kids out to the crater just to experience it. We also have snowmobiling expeditions just outside of town,” he adds. The average stay at the WashingtonSchool House is four nights in the winter, compared to two in the summer. 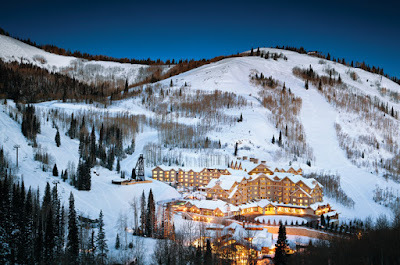 The second hotel Hudson visited that is diversifying its offerings to winter visitors was The Montage, Deer Valley. Here, alternatives to traditional downhill skiing run the gamut from cross-country skiing, snowcat and helicopter skiing, to snowshoeing, tubing, ice-skating, snowmobiling, dog sledding and train rides. 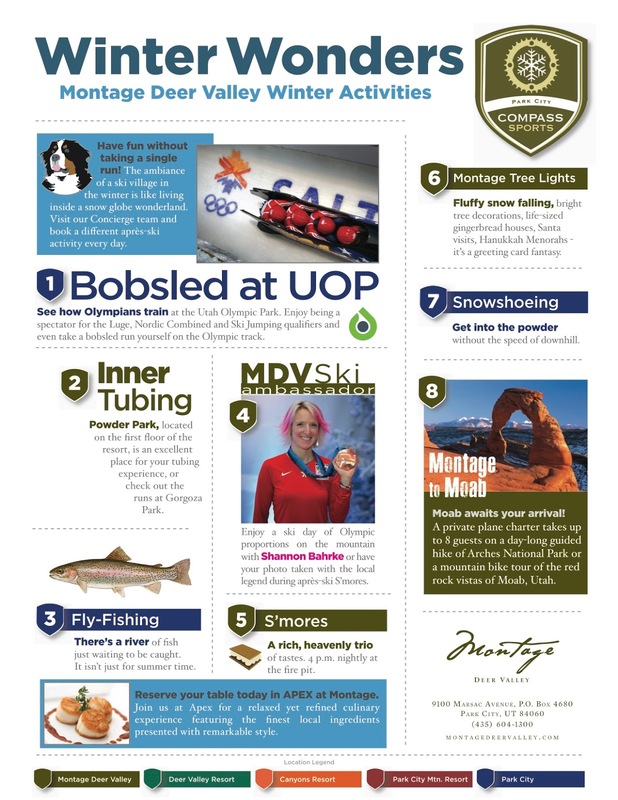 For the 2014-15 winter season, The Montage produced a Winter Wonders guide with a full list of 30 activities in Park City that are ideal for non-skiers. And it’s not just the complimentary facilities, The Montage has also used prime hotel space to house the huge spa complex. “We have dedicated the heart of the hotel to the spa – that’s a commitment. Other hotels would have made that area into guest rooms. 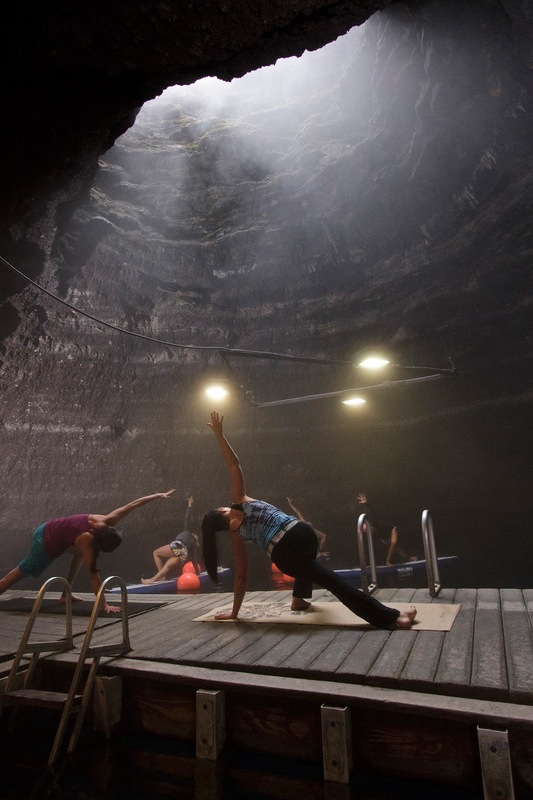 Most hotels tend to use unusable spaces for spas,” Howard says. 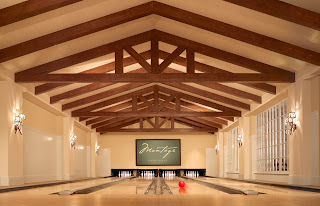 The spa has a signature treatment called SURRENDER in which the first 45 minutes is a conversation between a dedicated therapist and the guest to review health, exercise, diet and hereditary factors prior to being prescribed with a specialized spa ‘diagnosis regimen’ that is specific to the guest. All of the notes are maintained in The Montage database so that guests traveling to other Montage properties can continue their spa routine without needing to repeat themselves or start from the beginning. Both Gregory and Howard avow that, although it may be the winters that originally draw people to Utah, they often come back in the summer and fall in love with the area. 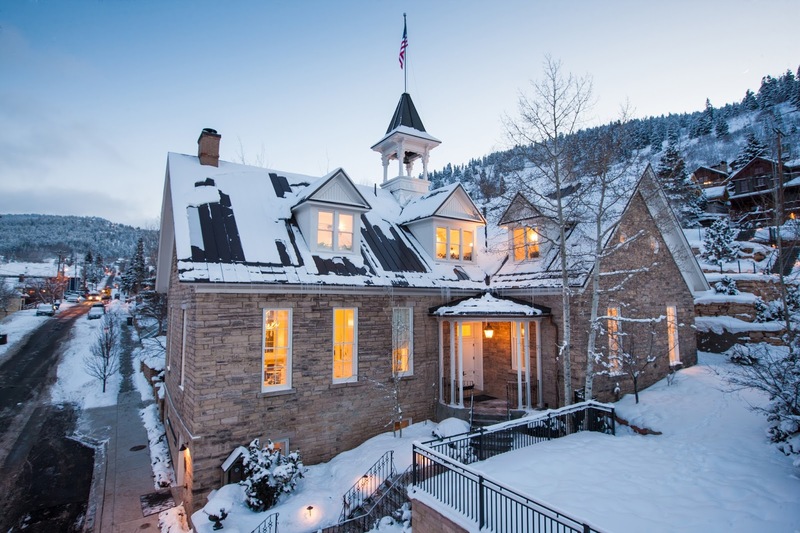 In fact, some guests end up purchasing property at The Montage to experience the mountains all-year-round, and the hotel has a dedicated property sales and management team on site. “We want our guests to feel so completely at home here that they ultimately want to buy a property in order to have more ‘Montage’ in their life”, says Howard. With all the activities going on in the area, they will certainly never get bored!